Izola is a small town facing the nord Adriatic Sea with 16.000 inhabitants. It is a popular tourism resort due to its pleasant Mediterranean climate, preserved nature and lively medieval old town. It is a destination appreciated by tourists especially for the beautiful landscape that can be explored by walking, cycling or by horse-riding. Water has a deep impact on the town. The sea, which in past times used to provide food and existence to fishermen and their families, today enables development of tourism. But it is not only the sea the main attraction. Izola also has the unique abundance of Mediterranean plants flourishing in its green parks. This is due to the water springs laying underneath Izola and feeding its numerous wells and fountains. 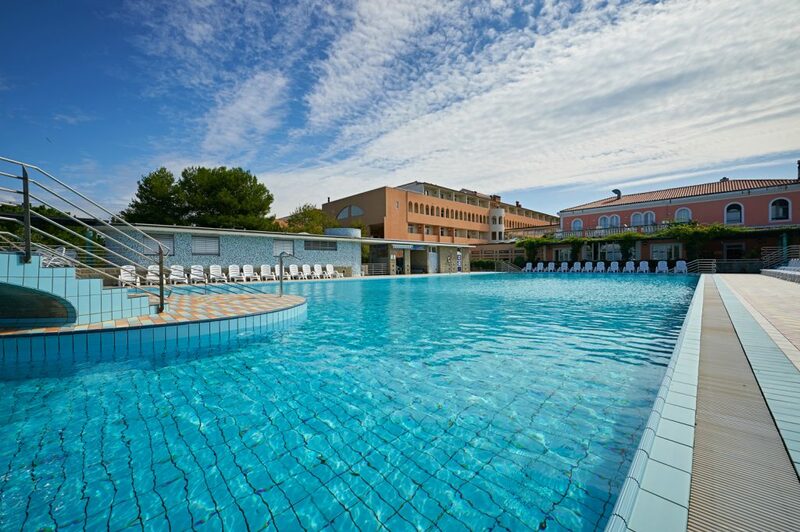 Hotel Delfin makes a further step in the development of the Izola’s “water concept”. 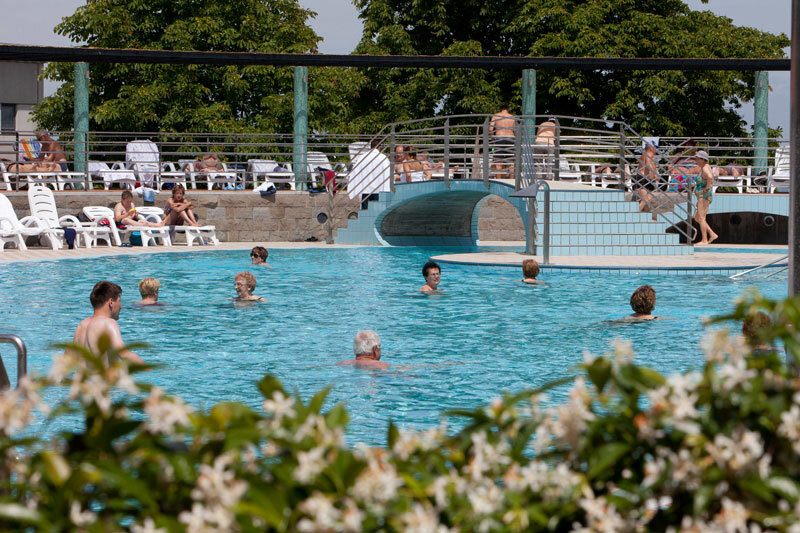 Pools with heated sea water and the brand new Kneipp garden, the first in Europe with Mediterranean plants and herbs, are the main attraction for visitors. Day 1 After check-in at your hotel and some time to relax, you will be greeted by your host with a glass of local wine. Afterwards, you will head for a walk through the green parks of Izola to get to know this relaxed Mediterranean town. Day 2 Piran. 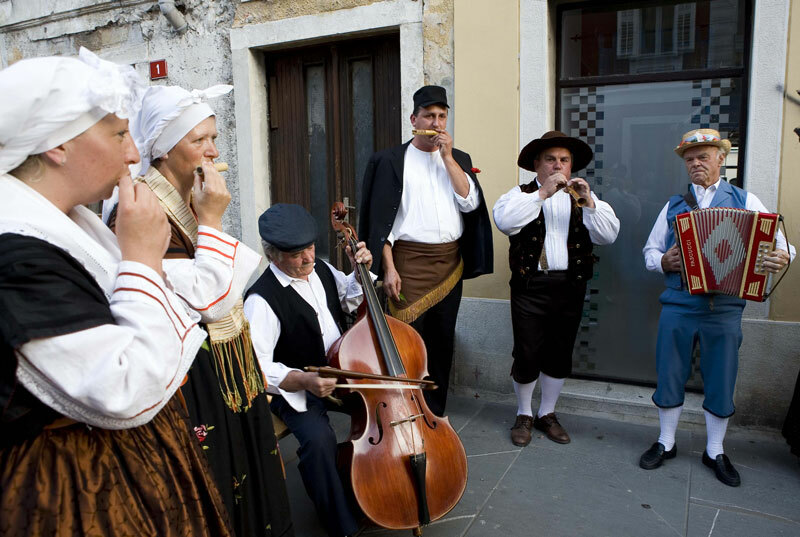 After the breakfast you will visit the town of Piran, the cultural pearl of the Slovene coast. You will stroll the narrow mediaeval streets of this picturesque and very photogenic town. Afterwards, you will visit another highlight: the saltpans of Sečovlje. There you will discover the long history of salt production in this area. Day 3 Istria hinterland. After the breakfast you will visit Hrastovlje village to see the famous Last Supper fresco at the mediaeval church of Sv. Trojica (Holy Trinity). Stop at a local wine and olive oil producer, in romantic surroundings of Istria hinterland. Day 4 Trieste. This day’s highlight is a visit of the neighbouring Italian city of Trieste with the Castle of Miramare and its park. They were built by the order of archduke Ferdinand Maximilian of Habsburg, who decided to move to Trieste and to have a home built facing the sea and surrounded by a park worthy of his name and rank. Day 5 After breakfast departure back home. Day 1 After check-in at your hotel and some time to relax, you will be greeted by your host with a glass of local wine. Later on you will head for a walk through the green parks of Izola and get to know this relaxed Mediterranean town. Day 2 Boat trip On your first day you will get to know the Slovene coast from its most beautiful side, from the sea. The boat trip will take three hours, with a stop at Piran, the most picturesque town of the Slovene coast. There you will have one hour to explore the town on your own. 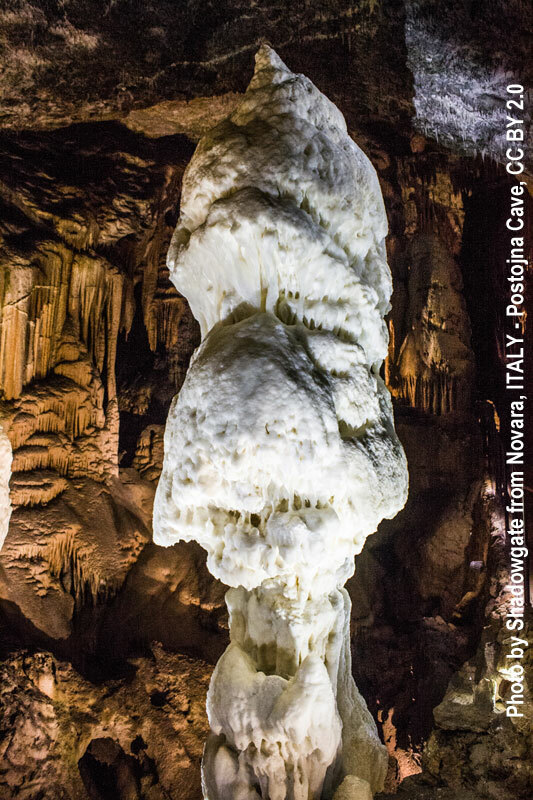 Day 3 Postojna caves The most visited tourist cave in Europe, Unesco Natural Heritage Monument. For the last 140 years the cave train has been taking visitors to see stalactites and stalagmites and other features created by water. During a guided tour, taking one hour and a half, you learn about the most important karst features. Day 4 Saltpans of Sečovlje After breakfast you will visit the saltpans. This attractive open air site and museum offers an impressive story of salt production through centuries. From there you will head to a local restaurant in the hinterland to finish your visit to with a tasty meal. Day 1 After a check-in at your hotel and some time to relax, you will be greeted by your host with a glass of local wine. Later on you will head for a walk through green parks of Izola to get the first impressions of this relaxed Mediterranean town. Day 2 Postojna caves Fantastic web of tunnels, passages, galleries and halls, the astonishing diversity of Karst features as well as easy access are certainly the main reasons for the immense popularity of the cave and such a large number of visitors, totaling 35 million in about 200 years. Day 3 Piran After breakfast you will visit the nearby town of Piran, the pearl of the Slovene Adriatic coast. You will stroll the narrow mediaeval streets of this picturesque and very attractive town. Later on you will visit another highlight: the saltpans of Sečovlje. There you will discover the long history of salt production. Day 4 Lipica stud farm Get to know the cradle of the lipizzaner – one of the oldest stud farms in the world with a tradition dating back to 1580! Let the white stallions charm you with their elegant movements, noble character and effortless ease as they present the most demanding figures of classical dressage. Day 1 After a check-in at your hotel and some time to relax, you will be greeted by your host with a glass of local wine. Later on you will head for a walk through Izola green parks as an introduction to this relaxed Mediterranean town. Day 2 Boat trip to Piran. On your first day you will get to know the Slovene coast from its most beautiful side, from the sea. The boat trip will take three hours, with a stop at Piran, the most picturesque town of the Slovene coast. There you will have one hour to explore the town on your own. Day 3 The fragrance of the Mediterranean. Today you are going to visit a herb farm and learn more about Mediterranean herbs. They are used for wonderful teas, mixed with local sea salt they are an essential ingredient in the kitchen and they are also used for producing delightful fragrances. Day 4 The hinterland. You will finish your short holiday on the Slovene coast by visiting the hinterland of Istria. This is the place where the olive oil and local wine is produced and you will taste and enjoy both on a local farm at your farewell dinner.